The summer movie onslaught is upon us. 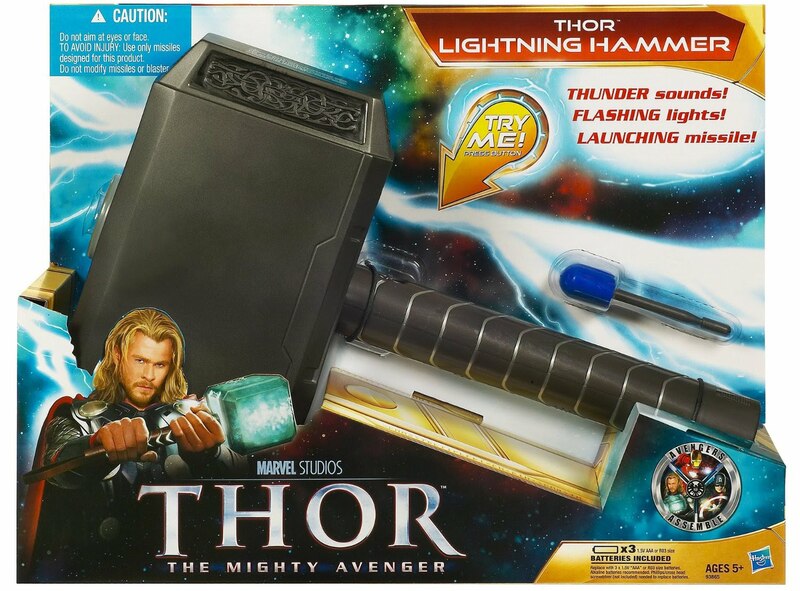 Thor movie merchandise can already be found at retail and there's a lot more on the way. One item in particular caught my eye -- or more accurately, it caught my ear. This is Thor's Lightning Hammer. It's just one of a number of role-play items you are likely to see this year from summer blockbusters. What is most interesting about this item is not the unneccesary firing projectile or the flashing lights, but the "sound of thunder" the hammer emits. Listen for yourself in the video below. It sounds very familiar, but I just can't place it. If anyone can help me identify the sound, please post your theories in the forums (no registration required).